This small lake is situated below Wheeler lake dam. 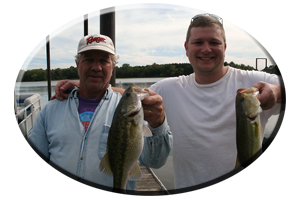 Wilson lake has set many freshwater fishing records. One being the world record smallmouth bass weighing 10 pounds 8 ounces. Caught in 1950, this record held up for many years. 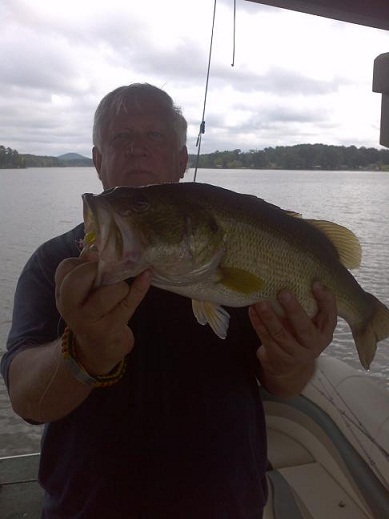 Although small in comparison to upper Wheeler Lake and Lower Pickwick Lake, this 15,930 acre “pond” has many smallmouth bass and some big largemouth trophy-sized bass caught each spring, from dam to dam. Lacking in numbers of small feeder creeks, Wilson Lake makes up for its diminutive size with many places to fish in March. This lake has many rock bluffs made up of small pockets, broken-off banks, unseen underwater features and exposed points for staging bass to gather on. 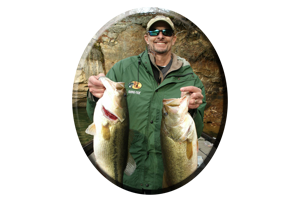 Below upper lake Wheeler dam at the Wilson lake’s headwaters is an all day fishing hole for smallmouth bass, largemouth bass, spotted bass, striped bass, hybrid-striped bass and schooling white bass. 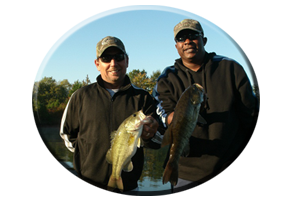 Generally, fishing with live bait, is the rule and it works very well for fooling all of these fish species. 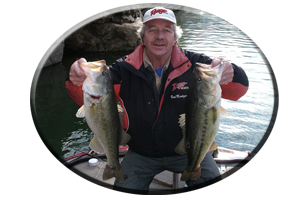 Most anglers gather their live bait below the dam and then drift in the current below the dam water discharge area. Lures do take a lot of these current-oriented, hard-fighting bass, and choosing the correct model lure for each fishing situation, can often show how to even out fish the live bait. Schooling bass are common during the spring below Wheeler dam. Topwater lures, that are heavy and can be cast some distance, will take fish that other anglers can’t reach. Try big Zara Super Spooks, the Super Pop-r, Baby Torpedoes, Crazy Shads, the Spittin’ Image, Devils Horse’s and other topwaters. Old and new, there are many good lure choices when targeting these schooling bass. Drifting in the current with bottom-bumping lures such as worms, lizards, crayfish imitations, creature lures and jig combos, can be deadly on these Big Bass. Drifting while jigging lead tail spinners, jigging spoons, grubs, shad imitations and small finesse lures, is always productive. Bring plenty of lures and weights, for the swift current calls for many lure hang-ups when fishing the lakes the rough, rocky bottom found below these dams. As water levels stabilize and water temperatures hold in the low-to-mid 70′s, both smallmouth bass and largemouth bass will commence bedding. Over half of the lakes bass population can be found in shallow water in April. The smallmouth bass generally bed deeper, earlier and in colder water temperatures than the largemouth bass, so many smallmouths may be bedding by early April. Largemouth bass prefer water temperatures around 70 degrees for bedding. Often they bed in water temperatures above 70 degrees, so many bass will still be bedding as April gets underway. Some late spawning bass will often bed on into early May, due to water cooling much slower on the deeper end of Wilson lake. Weeds will begin to appear, as April comes to an end. Like other Tennessee River Lakes, Wilson Lake has many varieties of weeds including hydrilla and milfoil. 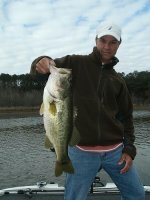 Lures like buzzbaits and spinnerbaits cover a lot of water fast and they often trigger the much bigger bass and often much more anxious-biting bass into hitting. These are bass that are either bed-protecting or just plain hungry. The same lures as stated for other lakes with millfoil and hydrilla weeds, will work in April on Wilson Lake. Please practice Catch Photo and Release this spring season. Smallmouth bass become very aggressive when coming off the beds in May and display some aerial acrobatics for the springtime angler fortunate enough to land these hard-fighting bass. Schooling will take place below Wheeler dam with these and other species during this post-spawn period. Schooling bass will also appear on flats find along major feeder creeks such as Town Creek, Shoal Creek, McCerman Creek and Blue Water Creek. Largemouth’s are also hitting topwaters and spinnerbaits along weed edges, in stump flats and on wood cover up in these small feeder creeks in May. 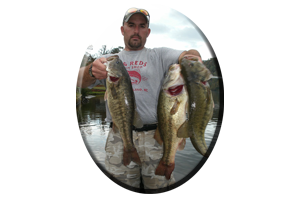 Crankbaits, lipless lures and jerkbaits are also good lures. Some largemouth bass will immediately move back to travel routes taken during pre-spawn conditions. Places they hold are along points, ledges, drop-offs, creek bends, rock bluffs and rip-rap. These spots will also have other bass species such as smallmouth bass and striped bass.